Chances are not everyone attending your summertime shindig will imbibe in an alcoholic beverage. While traditional soft drinks and even fancy bottled water is fine, you can put a fun twist on an old fashioned favorite by offering your teatotalling guests a refreshing glass of Orange Blossom Watermelon Lemonade. Tastes great, easy to make and sure to be a hit with both kids and grownups alike. Cut up the watermelon. Remove the flesh from the rind. Cut melon in to chunks. Cut lemons in half, squeeze out and collect the juice. 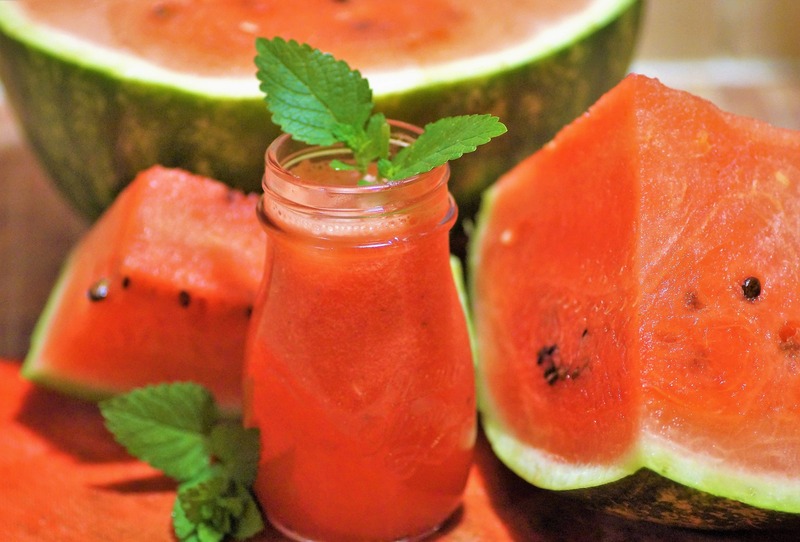 Combine watermelon flesh, sugar, lemon juice and orange blossom water in a blender or food process. Pulse until smooth. Strain to remove any stray seeds. Pour into a tall glass over crushed ice.